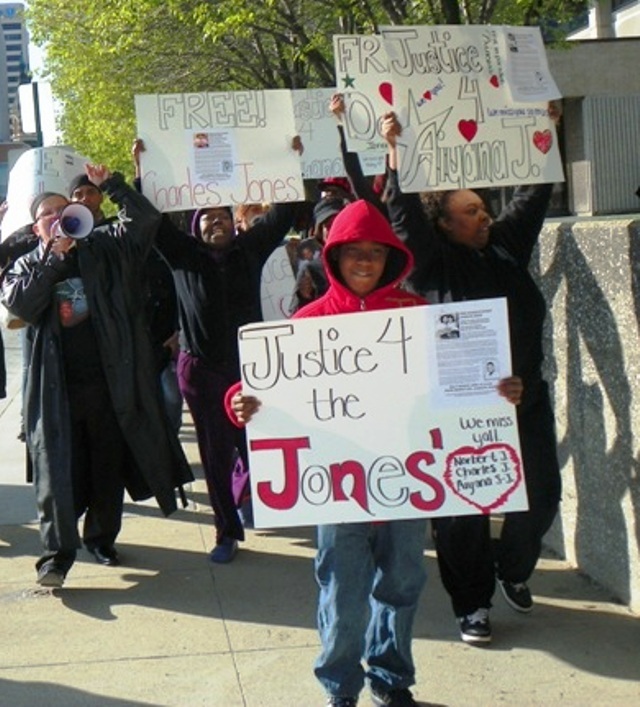 Rafael Jones, 14, leads march for Justice for Aiyana and Charles Jones April 23, 2012 at Frank Murphy hall, with grandmother Mertilla Jones (l), aunt LaKrystal Sanders (r). Charles Jones is being held without bail on trumped up charges while 7-year-old Aiyana’s klller, Detroit cop Joseph Weekley, is free on personal bond. No other police officials involved in the raid on her home May 16, 2012 have been charged.